With the U.S. opening of “The LEGO Movie” just two weeks away, I thought it would be a good time to revisit the “other” LEGO movie from a few years ago. “The Adventures of Clutch Powers” is like so many LEGO CG releases — a lumbering mass of basic tropes, non-jokes, and now-retired LEGO products (none of which feature the actual main characters of this film). In essence, nothing more than one giant commercial. At least, that’s how I remembered it. I hadn’t seen the film since it was released direct-to-DVD in 2010, after which I immediately retired it to my bookcase for some dust-collecting action. Four years later, the trailers for The LEGO Movie seem to imply a similar storyline and vibe, so I though I’d take a second look at Clutch Powers. The story of Clutch Powers somehow manages to be extremely simplistic and extremely confusing at the same time. Clutch, our main character, is “the greatest LEGO explorer ever” (think a blander Indiana Jones/James Bond) and works for LEGO — which, in this film, is not a toy company but an interplanetary organization that does, um, something. After a throwaway cold open, the LEGO Organization sends Clutch and his team to investigate an incident on a space-prison planet. Finding that the most dangerous only three inmates have escaped, the LEGO crew then heads to a Castle… planet… to capture a wizard who had been one of those prisoners. There, Clutch attempts to instill confidence in a young prince, while also learning to work together with the members of his own team, so that they can all stop the wizard from doing… something. If it seems like I’m having trouble summarizing what happens in this film, it’s because I genuinely am. The whole thing plays out like an “And then…” screenplay written by a 6-year-old — not in a good way, like Axe Cop, but just the type of scenario a child might come up with while playing with some assorted LEGO kits. “And then MALLOCK THE WIZARD escapes from SPACE PRISON and they have to go to the CASTLE PLANET OF ASHLAR to catch him before he gets the GOLDEN SWORD OF KING REVET and takes over the whole world etc.” Insert spaceship swooshing noises here. When the LEGO Organization gets a distress call from the prison planet, the video footage shows Space Police officers who literally exclaim, “the prisoners are escaping!” Clutch and his team then proceed to wonder what happened… “it’s a bit of a mystery!” It’s really not; the prisoners escaped. The team arrives at the prison, where the Space Police watch commander says that the escaped prisoners can’t leave the planet, since he removed key parts from all the Space Police vehicles. That being the case, the prisoners end up stealing Clutch’s ship. It seems as though the LEGO team is stranded, since all the other Space Police ships are disabled. Except… they’re not stranded, since the watch commander could literally just replace the parts (which we see him carrying) and all of the ships would work. On the Castle planet of Ashlar, the Troll in charge of guarding the kingdom has built a giant wall to hide the castle so that Mallock (the wizard) can’t find it. I’m not sure why the Troll would need to do this, since Mallock has been locked up in space-jail for years, up until like an hour ago. Clutch’s big character trait is that he always works alone; a habit he adopted after the loss of his father (Rock Powers, natch) a few years earlier. He even has a song about it. Brick Masterson is a Fireman, Weapons Specialist, and Demolitions Expert. He’s the muscle of the group, and kind of looks like Ron Swanson. Brick tends to destroy more things than he actually builds; the best weapon he makes is a glorified battering ram. Peg Mooring is a Biologist and a woman (FYI, this film does not pass the Bechdel test in any way, shape, or form). She uses her biology know-how to recognize footprints and tame a dragon off-screen. She also has extra hair that she brings with her, because girl. There are no other named female characters in this film, although we do catch a glimpse of a few extras from the Medieval Market Village who say nothing and do nothing. Bernie von Beam is an Engineer who does wacky things and wears a gear on his head for a significant portion of the film. He has an accent. The teams’ terrestrial backup includes Kjeld Playwell (hah), head of the LEGO Organziation, and his in-house scientist Artie Fol (hah), who also does wacky things and is Clutch’s biggest fan (we know this because he tells us). On Ashlar, there are some skeleton flunkies (one of whom is Chris Hardwick), a good-guy Troll who loves Monty Python references, and Prince Varen, heir to the planetary throne. Mallock the Malign is the main villain of the film, even though some other evil guy named “Omega” gets name-dropped and then immediately forgotten. The design of the film is pretty bare-bones. Like many of the LEGO video games, the locations and vehicles that are not official LEGO sets are rendered as generically textured 3D backdrops; lots of grass, trees, rocks, cement, and solid colors. There are a few things here and there that appear to have had actual thought put into them — Mallock’s stronghold comes to mind — but most of these are designed as a kind of weird kludge between brick-built and CG creations. For the most part, though, the brick-built sets shown are actual LEGO products that were available in the time leading up to this film’s release. The same thing goes for the majority of the characters — the skeletons, the Troll, and Mallock (who was merely an ‘evil wizard’ in the 2007 Castle line) all appeared in official LEGO kits, as did the Space Police officers and all of the extras. Ironically, none of the main cast were ever created as minifigures. In fact, Clutch himself cannot even be built out of existing parts, as his torso and pants have custom printing, and his hairpiece has never been made in black. Peg and Bernie’s wigs have never been made, either, and all of the faces are custom. So, if you were a kid who watched this movie and wanted to build and play with the characters: not only could you not buy them in stores, you couldn’t even make them out of parts from your own collection. Even LEGO Universe wasn’t that bad. If there were such a thing as un-synergy, I think this would be it. The animation is fine; nothing to write home about. There’s some wonky mouth shapes and one or two floaty walks, but in general, the animation is effective and does the job it needs to do. Even stranger is the fact that, on Chuck, Ryan McPartlin’s character is not a secret agent or an explorer, or even a main character. He’s got a deep man voice with a nice sound to it, but it felt kind of wrong for the character of Clutch, who doesn’t really behave like a grown adult. Again, part of that might be the writing. It’s obvious that the filmmakers wanted Clutch to be a cool Indiana Jones/James Bond type, but the way he’s written feels both immature and amateur. While watching the film, I wondered why they didn’t have the guy playing Prince Varen voice Clutch instead. Their story arcs are basically parallel, and even though the movie keeps TELLING us Clutch is famous and amazing, he feels just as young and inexperienced as the prince. Clocking in at just under 90 minutes, Clutch Powers isn’t an offensive disaster, but it somehow manages to capture that rare combination of complexity and boredom. It unsuccessfully tries to be a movie by hitting those beats that other movies hit, and ultimately fails to be memorable, charming, or fun. I did not laugh once. Clutch himself is neither engaging nor lovable, and actually comes off as kind of a jerk for a significant portion of the movie. We never see or hear about any of his other missions, and most of what we do know about Clutch is merely what other characters tell us about him — even if that information contradicts the things we see him do on screen. The script is weak, and the majority of the dialogue has no subtext. When the characters aren’t spewing tired clichés (“Lock and load — we’re going in”), they’re either saying exactly how they feel or just giving mindless exposition. There are one or two attempts to tie in some LEGOish values (“We build on each other!”, “Time to get creative!”), but these are few and far between, and feel like an afterthought. One of the strangest recurring subjects is the notion of a “creation spark”. 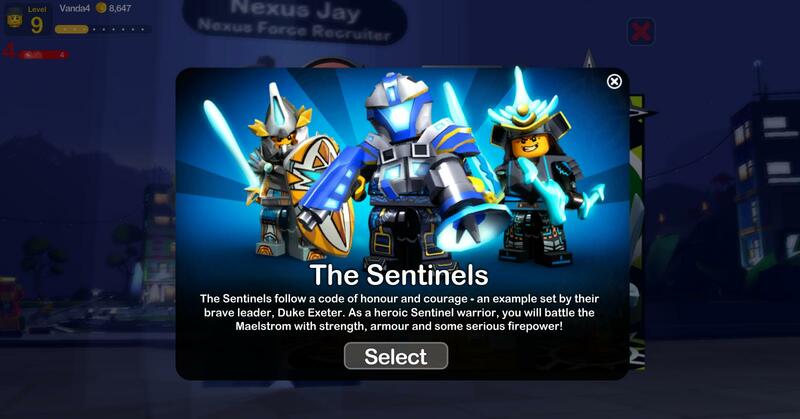 This is apparently the equivalent of a minifigure soul, although nothing about it is ever explored or explained. In a practical sense, it seems to be a way for the writers to talk about characters being killed or dying without having to say “killed or dying”. But in a storytelling sense, I find it baffling — are these characters alive or not? Is the creation spark a physical thing? Are minifigures kind of like Transformers? We’re never told. Other plot lines that lead nowhere include the fate of Clutch’s father, and the identities of the two other escaped prisoners. This film is very obviously trying to be the first part of a franchise, but in doing so, it fails to tell a coherent stand-alone story. As with LEGO toys, I want the LEGO videos and movies that I watch to be of the highest quality; the kind of material I can return to and enjoy no matter how old I am. TLG’s target market of 5-to-12-year-olds may hold water in terms of toy sales, but there’s no denying the universal timelessness of LEGO products. A big deal is made of the fact that bricks and elements from the ’70s, ’80s, and so forth will all fit together with parts from modern sets. LEGO cinematic releases should follow the same long-range principle — films with something for everyone. That’s not the case with Clutch Powers, which is just a plodding, meaningless exercise where we see some sets that you could have bought in 2010, and then it’s over. I bring up the irony of “Only The Best Is Good Enough” far too often when talking about LEGO home video releases, but TLG has set the bar really high for themselves with that motto, and as far as I’m concerned, has yet to reach it. Fingers crossed for The LEGO Movie. If you really must see this film, it’s available to stream on Netflix for free. You can also rent it on Amazon for $2.99, or buy the DVD for three bucks more. But I really don’t recommend spending any money on this. 3 Responses to "The Adventures of Clutch Powers (2010)"
Thanks for the critique. I always enjoy reading these kind of things, and it makes me especially happy when someone brings up how terribly poor TLG’s stories are vs. their timeless products (Bionicle being an exception). Fortunately, it looks like the LEGO movie is going to break the ice. Kevin Ulrich saw a preview screening and already gave it his praise. Wow. Sounds pretty bad. I can’t wait to finally watch it. I would argue that LEGO Universe wins at un-synergy. While there were those two tiny tie-in sets, the vast majority of the stuff on screen was not buyable or even buildable (the minifig accessories were especially egregious). At least with Clutch Powers they were showing sets that existed. In thinking about it some more, I think *maybe* Bernie von Beam’s head is supposed to be this one. But it’s still kind of a reach.